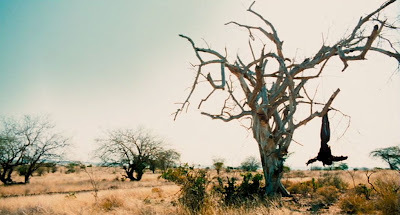 The Constant Gardener (2005), one of the best films of the past decade, has had numerous admirers, but because of its many themes, it has been view ed, and criticized, from a number of different angles. 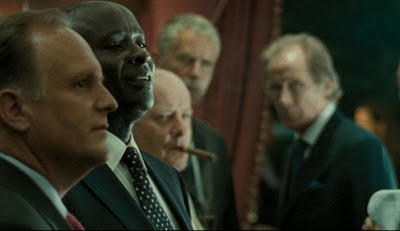 Based on John Le Carre’s 2001 novel of the same name, the film can be variously experienced as primarily a mystery/thriller, an expose of the pharmaceutical industry, an expose of Western statecraft’s subservience to globalized capitalism, or a love story, depending on one’s predilections. In fact the task of taking Le Carre’s typically intricate novel of 550-plus pages and somehow fashioning an entertaining, not to mention comprehensible, two-hour movie out of the material must have been daunting. But I would say Brazilian director Fernando Meirelles was definitely up to the task, and he made superb choices to create something special – a gripping cinematic story that has a reflective philosophical motif at its core. 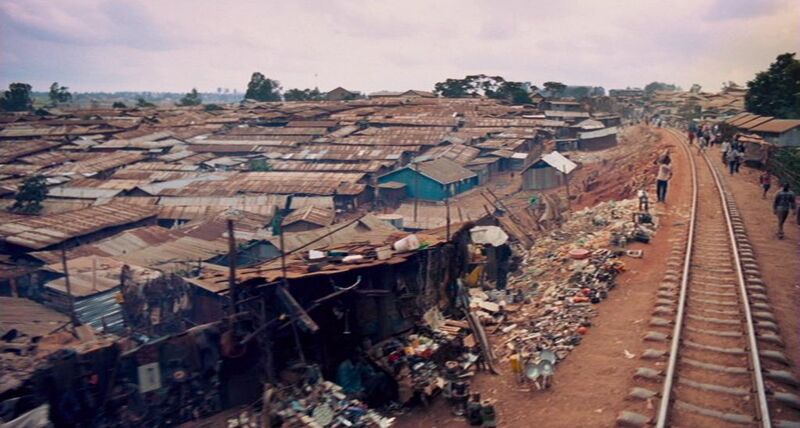 Meirelles had already attracted international intention with his spectacular previous outing, The City of God (2002), which was a startling, visceral drama about crime in the Rio de Janeiro suburban slums. With The Constant Gardener, his first English language film, he displayed further mastery and an impressive new expressive dimension. Yes, The Constant Gardener could be said to be about corruption, intrigue, capitalism, and love, but this is not just a random collection of themes – there is something in this film that ties all these seemingly disparate things together in terms of a larger theme. I will try to explain. 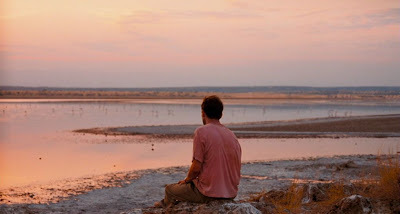 The protagonist, Justin Quayle, is a mid-level British diplomat stationed in Kenya, whose modest, civilized character is symbolized by his avocation of gardening. He is a gentleman in every way, and he lives well within the boundaries of his (and our) culture, as it has been defined to all of us in our upbringing. This is a society governed by the rule of law, human ri ghts, freedom of expression, and equal opportunity. But, curiously, our culture predominantly characterizes these things in selfish terms. It is said, especially by libertarians, that it is in our enlightened self-interests to obey the laws and to support freedom-of-action and human rights as much as possible. This general credo of “do unto others as you would have them do unto you” is promoted, because there is a payoff promised to us if we follow it. We, individually, will all be happier, we are assured, if everyone conforms to these norms. Society sets up various punishments if we don’t follow the norms, and to ensure even more faithful adherence, our religions promise us that God is watching us at all times and will reward us in the afterlife if we live virtuously. Of course, selfish pleasure-seekers might not see the big picture, so the need to be constrained, but we educated ones (who are presumably enlightened and see the bit picture) will follow the rules, because they are in our long-term selfish interests. This ethos of enlightened self interest is extended into our capitalistic economic sphere to the notion of a corporation. Corporations are legally identified as “individuals” that are expected to operate according to their enlightened self interests (i.e. the interests of their share-holders). According to this scheme, we humans have evolved from the savage beasts, which our forebears once were, by learning that cooperation gives us a competitive advantage: cooperation and rule-following is in our selfish interests, because it gives us a competitive advantage. This selfish-competitive mantra barely needs repeating today and has become second nature to us. Nevertheless, despite this conventional notion of (hopefully enlightened) self-interested behavior, we intuitive know that there is something missing from this cultural picture: empathy. 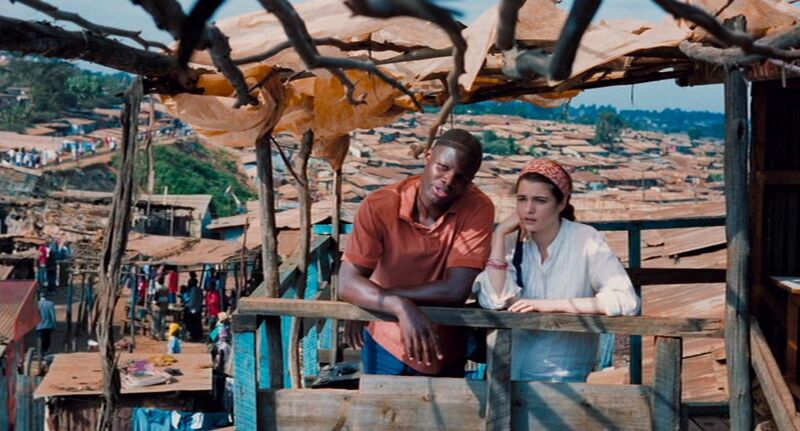 And it is empathy that is ultimately the overriding theme of The Constant Gardener. The concept of empathy, though, has often been dismissed by the academic community. Logical positivists, behaviorists, and other scientific reductionists dismiss conventional notions of the mind, such as beliefs and desires, as merely examples of “folk psychology”. To them these ideas are part o f loose talk that may be satisfactory fir casual conversation, but they are held to be unscientific and must ultimately be superceded by a more neurophysiological-based scientific characterization, just as the notion of magnetic poles was superceded by Maxwell’s more accurate model of electromagnetism. And even most of those other scholars who do regard “folk psychology” as a useful descriptive framework don’t have much use for the notion of empathy – they are satisfied that all human decision-making can be understood on the basis of the mental notions of beliefs and desires. But despite these studies and our own intuitive convictions that empathy is real, there is still a problem – empathy is not really wired into our conventional social culture. That culture is still based almost exclusively on self-interests. Corporations and government organizations are instructed to evaluate the world on the basis of their own selfish interests, and moral behaviour is assumed to only arise on the basis of those long-term interests. 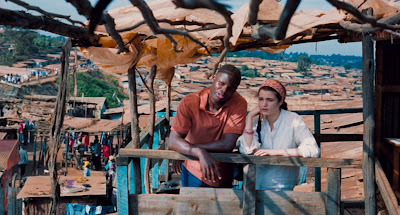 In The Constant Gardener, the protagonist, Justin Quayle meets and falls in love with a beautiful young woman who is very much attuned to her own empathic feelings towards her fellow beings. The principal narrative theme concerns how Justin eventually understands and shares that empathic passion with her. The plot of the film can be divided into roughly four sections or acts, each of which represents a successive stage in Justin’s journey towards enlightenment and commitment. 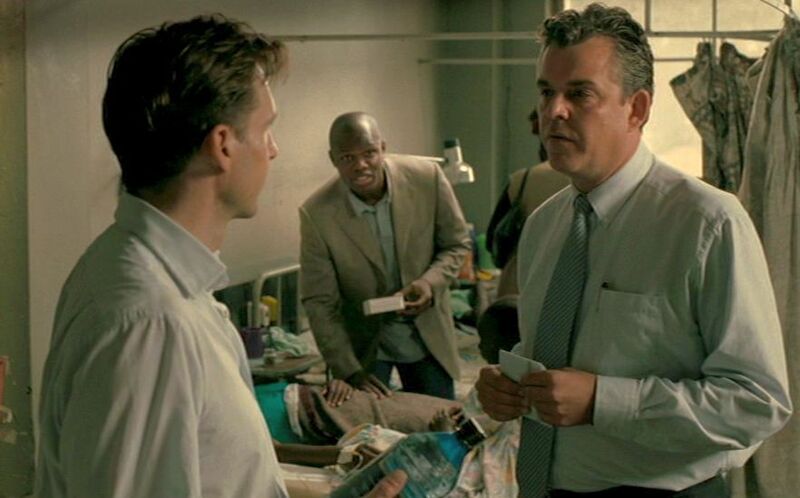 The focalization of the film is almost entirely limited to Justin, but there are a few scenes just outside Justin’s scope and which are mostly centered around Justin’s boss in Kenya, Sandy Woodrow. The opening scene shows Justin kissing his wife, Tessa, good-bye at the Nairobi airport, just prior to her departure with a companion, Dr. Arnold B luhm, to the northern Kenyan city of Lokichogio. The next shots reveal that she has been murdered somewhere on the road, and Justin must go to the morgue to identify her body. The rest of this act is devoted to flashbacks about how Justin came to meet and fall in love with Tessa. She was a political science student and liberal activist who attended a guest lecture given by Justin. Their romance was rapid, as the self-confident Tessa readily welcomed Justin’s shy advances. Soon it was she who proposed that he marry her and take her back with him to his diplomatic assignment in Africa. Once there she soon partners with a black African doctor, Arnold Bluhm, in connection with her passion to improve the health and welfare of poverty-stricken natives. The close association of Bluhm with the liberal Tessa makes Justin feel uneasy, and he fears that the two may be intimate. In connection with Tessa’s work with Bluhm, she learned that a large, international drug corporation, KVH, was compelling poor natives seeking AIDS treatment to undergo testing of Dypraxa, an unproven tuberculosis (TB) drug with known, sometimes fatal, side effects. KVH and their local heatlhcare partners administering the tests, ThreeBees Corp., were covering up the deaths caused by the Dypraxa tests. We return the “present”, with Justin and his boss, British High Commissioner (i.e. Ambassador) Sandy Woodrow in the morgue. Because Arnold Bluhm is missing, it is assumed by the government that he was Tessa’s lover and brutal murderer. The grief-stricken Justin wants to know more about these murky circumstances and why their home was ransacked after her death, so he begins to investigate. Justin learns that Tessa had sent a report, via Sandy Woodrow, to Sir Bernard Pelligrin, head of the Africa desk of the British Foreign Service, revealing the conspiracy of KVH and ThreeBees and accusing them of blatant illegalities and wrongful deaths. Tessa had subsequently learned that her letter was suppressed by Pelligrin, and she had then conspired to get hold of Pelligrin’s abusive and self-incriminating letter dismissing her revelations. Justin now knows that the British government was in on the conspiracy in order to assist its corporate allies. 3. Justin on the Trail. Justin is now determined to follow up on Tessa’s investigation. He returns to England, where his passport is confiscated, and he realizes that he is now seen as an enemy of the British Foreign Service. He acquires a fake passport so that he can continue his clandestine consultations with some of Tessa’s fellow social activists in Europe. And despite beatings and death threats from paid thugs, the mild-mannered diploma t’s resolve is firm. He learns about Tessa’s acquisition of Pelligrin’s self-damning letter, and also he learns both that Bluhm was not really Tessa’s secret lover, but only an innocent victim, and that Tessa’s ill-fated trip to Lokichogio was connected with her efforts to meet a developer of Dypraxa, Dr. Lorbeer. His sights are now set on finding Lorbeer back in Africa. 4. The End of the Road. Returning to Africa, Justin accumulates more crucial evidence about the conspiracy, but learns from the cynical but sympathetic head of MI5 in Kenya, Tim Donohue, that the British government has taken a contract out on his life, just as it had done with Bluhm and Tessa. Justin doggedly goes ahead manages to track down the eccentric Lorbeer in Sudan, acquire from him the damning letter from Pelligrin, and get it dispatched back to allies in England where it can be revealed to the public. But he knows he cannot escape his tragic fate. Throughout The Constant Gardener Justin’s sense of empathy expands towards the wider circles encompassed by Tessa’s. In Act 1, he is a sensitive, caring man in love, but his concern is primarily with Tessa. Right after her miscarriage in Kenya, Tessa beseeches Justin to give ride in their car to a poor African boy who must walk back to his village forty kilometers away. Justin denies her request, saying that they cannot attend to all the poor people in Africa and that her health must come first. But she protests, to no avail, that this is one person who needs help and that they can help. This exemplified her existential engagement of sympathy, something that could take precedence over more practical considerations in some situations. Towards the end, in Act 4, Justin has adopted Tessa’s perspective. 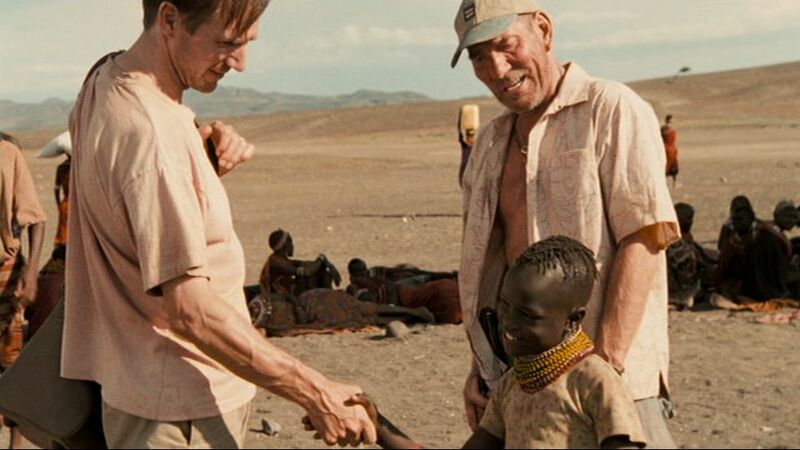 While trying to escape a murderous attack by brigands on the Sudanese village he is visiting, Justin asks the pilot to take onboard a poor black girl who had been working with Lorbeer. This time the roles are reversed, and the pilot repeats Justin’s earlier practical, rule-based argument, denying Justin’s empathic appeal. In response to “we can’t save everybody”, Justin (echoing Tessa) says, “yes, bu we can save this person!". In both situations the empathy-denying responses seemed reasonable, but they reflect the fact that our organizations seem to have no place for empathy. There are four significant characters in the film who show a certain degree of sympathy for Justin’ situation, but they all fall short of true empathy. 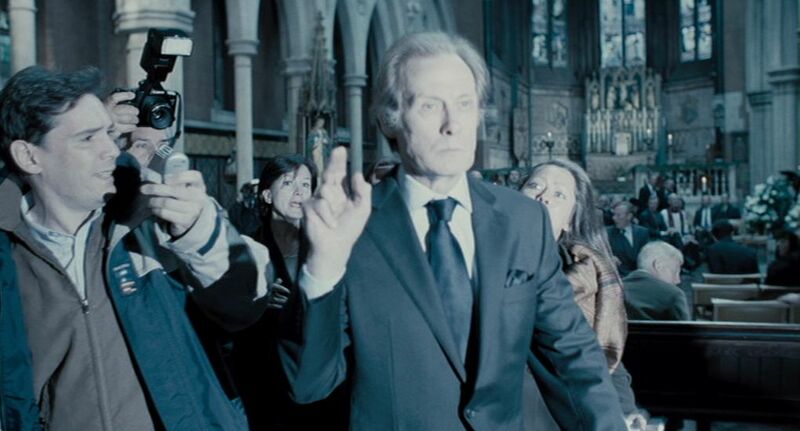 Sir Bernard Pelligrin expresses sympathy in Act 2 to Justin for the death of Tessa, but, of course, he is lying and was a direct cause of her death. His utter hypocrisy puts him at the lowest level. Sir Kenneth Curtiss, the CEO of ThreeBees, helps Justin in Act 4 by supplying him evidence of ThreeBees own culpability. But this is merely an act of revenge, since he knows that he is about to get dumped in the corporate world, and he wants to take others down with him. His vengeful action is not the empathy we seek. Sandy Woodrow weeps at the death of Tessa and appears to show sympathy. But we later learn that he is a weak and self-seeking individual and that his feelings for Tessa were entirely selfish. The spymaster Tim Donohue sympathizes with Justin, because he, too, is doomed, in his case with a terminal illness. But his empathic action does not extend to all his fellow creatures, as it does with Tessa, and later Justin, but is merely directed to a similarly powerless individual. All of the men above were operating inside systems and organizations for which empathy has no reward and no place. And perhaps it says something about our culture that the two worst scoundrels in the story had been bestowed with the honor of knighthood. Although some of these men were dimly aware of these shortcomings, they were all submissive to the status quo of selfishness. Only Tessa heroically rebelled against that situation, and so, too, in the end, did Justin. The mise-en-scene of Meirelles in The Constant Gardener is fascinating in the way it skillfully maintains a feeling of anxiety via its impressionistic renderings. We, the viewers, are like Justin and stand outside of the major, critical happenings. The murders of Tessa and Arnol d Bluhm are not even shown; we are only given the information after the fact. Similarly, Tessa’s miscarriage in the hospital and her visit to Dr. Lorbeer are not shown directly. Everything is seen from the narrative perspective of Justin, who is trying to catch up with a series of machinations that are outside of his control. There is considerable camera movement, along with a stream of perspectival compositions, that sustain this anxious, impressionistic mood, all the while maintaining a smooth visual continuity and dynamic flow. 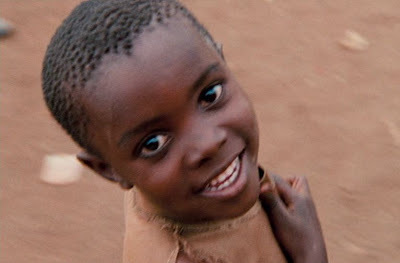 At the same time Meirelles also gives the viewer impressionistic shots of winsome, joyful black children in the villages that evoke unconscious empathy on the part of the viewer. One can't help but recognize that they are our brothers and sisters who deserve a better deal. 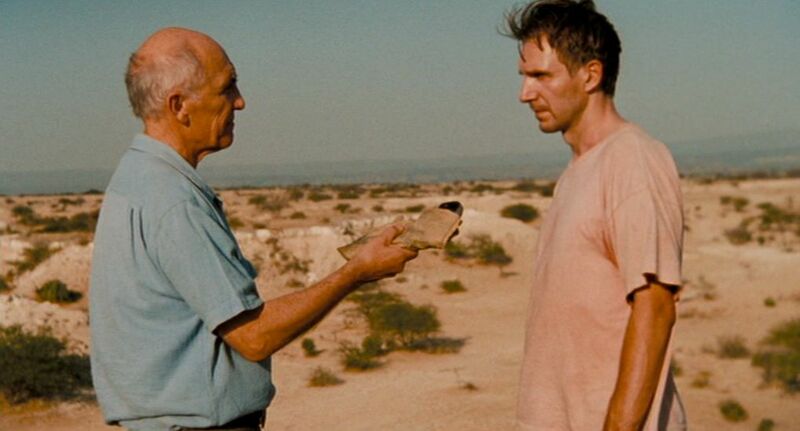 The acting is uniformly good, especially, that of Ralph Fiennes, whose introspective portrayal of Justin is reminiscent of his performance in The English Patient (1996). Rachel Weisz (Tessa) and Danny Huston (Sandy) also stand out. So the practices described in the film (presumably accurately following Le Carre’s text) are apparently standard with the pharmaceutical industry, and these are exclusively driven by the selfish interests of profit. Maybe we need something a little different for the healthcare field. In fact, maybe we need to consider how corporations, in general, could be restructured for the better, in order to go beyond their present selfish orthodoxy. This is the subject of the recent book by Dev Patnaik, Wired to Care, which argues that the corporations today lack empathy and that for them to be more effectively service-oriented, they will need to establish a more widely held sense of empathy for their customers. At the end of the film while awaiting his grim fate, Justin soliloquizes aloud to his departed Tessa, "I know your secret now". That secret was Tessa's feeling of engaged compassion towards the entire world. Justin had moved in the film from the withdrawn world of the gardener, to the passionate embrace of his beloved, and on to that level of comprehensive compassionate engagement. We need to do that in a more inclusive fashion and think about empathy in a wider, social context. Perhaps The Constant Gardener may be a little bit helpful in getting us to think and feel along these lines. Karsten Stueber, "Empathy", Stanford Encyclopedia of Philosophy, 2008, http://plato.stanford.edu/entries/empathy/. Karsten R. Stueber, Rediscovering Empathy: Agency, Folk Psychology, and the HumanSciences, The MIT Press, 2005. Frans de Waal , The Age of Empathy: Nature's Lessons for a Kinder Society, Three Rivers P:ress, 2010. Frans de Waal, “Morals without God”, New York Times, 17 October 2010, (http://opinionator.blogs.nytimes.com/2010/10/17/morals-without-god/?ref=afternoonupdate&nl=afternoonupdate&emc=auab1). Frans de Waal, “Fair Play: Monkeys Share Our Sense of Injustice”, New Scientist, 11 November 2009.(http://www.emory.edu/LIVING_LINKS/empathy/Reviewfiles/fairplay_NS.html). Rebecca Anderson, “The Drug that Came in From the Cold”, Molecular Interventions, American Society for Pharmacology and Experimental Therapeutics, 2004, (http://molinterv.aspetjournals.org/content/4/1/60.full). this is a great post on fantastic film. I absolutely love The Constant Gardener but your reading of the film has bought to light a lot of things that went completely over my head on the two occasions I watched it. I'm going revisit this in the next couple of weeks.